Whether you’re into bus, trains, animals, rivers, planets, objects, history, or movies…spend a day inside learning something. Here are some special and ongoing indoor museum exhibits that are uniquely kid friendly for 2019. So much fun at Rizzo's Wildlife. Explore an extensive indoor zoo featuring exotic animals from all over the planet. Also check out over 2,000 gallons of aquatic exhibits. Get up close with birds, bugs, lizards, snakes, turtles, and much more! Exhibit about the planet Saturn. Observe recent video and still images of the rings of Saturn, its many satellites and Titan, its largest moon. Newest exhibit and it’s all about Rivers. Discover the wonders of our river waterways. Featuring a high tech River Continuum Wall. See catfish up close in our Fisharium. See student artwork in a professional art gallery space. This show rotates every six weeks and it highlights range of media by students at the Yard School. Children’s Arcade displays hands-on-art making experiences of students. Exciting new exhibit called Objects Count and it showcases unique objects collected by the museum. See a caribou antler from Ice Age New Jersey, a 1930s flight suit from a South Jersey female pilot, Native American projectile points and much more. Exciting interactive exhibit about renewable energy. Students can discover how electrical generators work, test a wind turbine and operate a solar panel. Explore how the Earth, biomass and water can be harnessed to power our homes and businesses. Take a trip into outer space in the state of the art digital RVCC planetarium. The day and night skies are recreated. See stars and planets. Go check out upcoming 2019 shows: Astronomy Tonight, Laser Kids, Magic Tree House: Space Mission, Black Holes, To Worlds Beyond, Our Lovely Skies, and so much more! Journey back to the Viking age! Story of the Viking explorers who set sail from Scandinavia centuries ago. See unique objects, multimedia exhibits, and interactive elements. Full size 21 foot replica Viking ship, 600 artifacts, Viking games, and Norse mythology. Imaginative play and hands on activities for kids. Put on a lab coat, pick up a stethoscope and perform check-ups on toys. Visit the Pet Vet to wash, brush, and X-ray toy animals. 6 Normandy Heights Rd, Morristown, NJ, 973.971.3700. Take a close look at the lives of volunteer and full time firefighters. Learn how they help in an emergency, rescue people and pets, and put out fires. 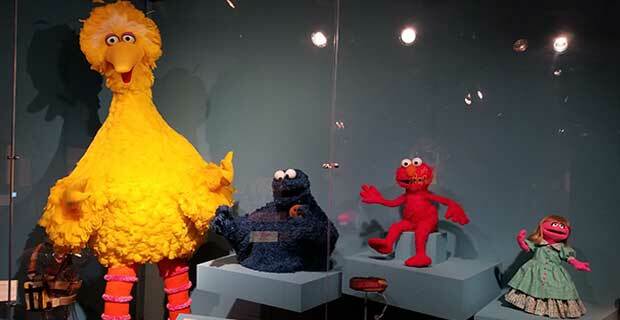 Exhibit of how Jim Henson brought to life The Muppet Show, the Muppet movies, Sesame Street, Fraggle Rock and more! On display are 47 puppets, including Kermit the Frog, Miss Piggy, Rowlf, The Swedish Chef, Big Bird, Elmo, Cantus Fraggle, a Skeksis, and many others. Visit the New York Transit Museum to learn all about the city’s subway system as told through illustrated stories in comic book format. Subways, railroads, streetcars, and buses can whisk heroes to far-flung corners of the city.